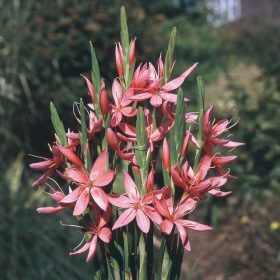 Schizostylis coccinea alba is a vigorous, clump-forming perennial with narrow, bright green leaves and spikes of open, cup-shaped, pure white flowers and yellow anthers. Attractive scented! flowers that is also good for cutting. 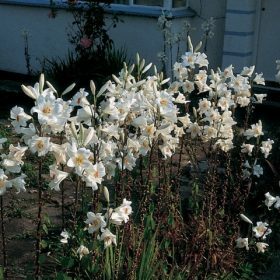 They thrive best in well-drained but moist soils in full sun. Cultivate soils to a depth of 15cms and plant roots 8cms below the soil surface. 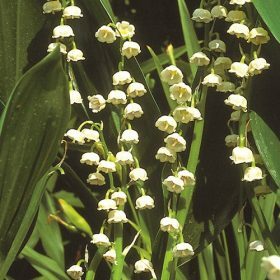 Lily of the Valley is a highly scented plant that produces stems of white nodding flowers. 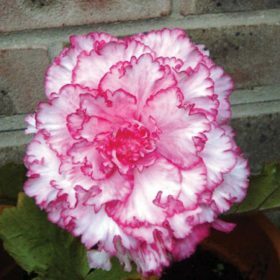 This picotee begonia will produce superb flowers that are white with a red frilly rim. Such a wonderful lily. 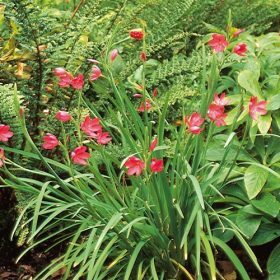 Pink perfection is a classic trumpet lily growing with vigour and is long lasting. 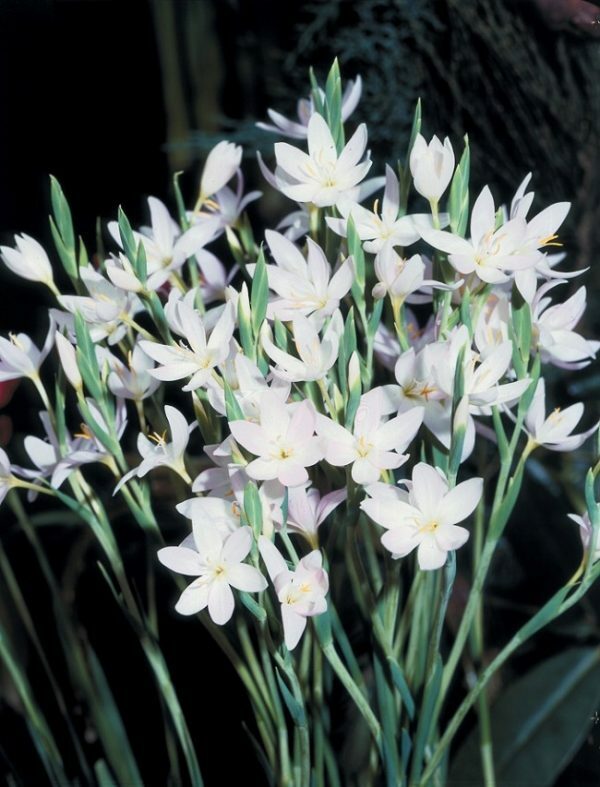 The flowers are trumpet shaped purplish-pink flowers with yellow blotches striped dark brown.